Posted in General Health & Wellness on June 19, 2010. Last modified on March 28, 2019. Read disclaimer. By Dr. Joshua A. Tobin. Read disclaimer. As a neurologist, much of my practice involves treatment of painful conditions, such as headaches. We know that excess inflammation is a major contributing factor to many "Western" diseases, such as heart attacks, strokes and also to headaches. This article focuses on the role that inflammation plays in different headache conditions. Cluster headaches are often described as the most painful condition known to mankind. Their hallmarks are a severe stabbing pain in or near one eye that improves with physical activity, lasts minutes to hours, and is associated with visible changes around the involved eye, such as the eyelid drooping, tearing or swelling of the skin around the involved eye. The actual pain is probably due to dilation of the artery supplying blood to the eyeball. Cluster headaches are probably caused by inflammation of the veins behind the eye, or in a structure in the middle of the head behind the eye sockets called the cavernous sinus. Most people with cluster headaches have the episodic form, in which headaches occur daily for several weeks, then resolve for months, then recur again daily for weeks, and so on. A powerful corticosteroid anti-inflammatory medication is frequently prescribed for cluster headaches. 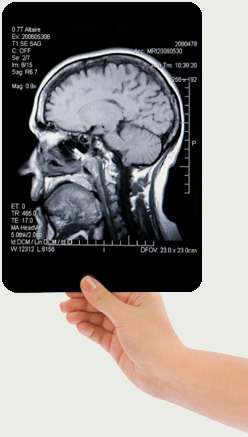 Joshua A. Tobin, MD., is a board-certified neurologist at 21st Century Neurology in Phoenix, AZ. He especially enjoys caring for patients with headaches, fibromyalgia and sleep disorders. This article appeared in VitaJournal, March 2011. If you are over the age of 50 and have headaches, one potentially very serious inflammatory disease that could be causing your headaches is temporal arteritis, which can cause blindness. If you see your doctor, odds are that she or he will order blood tests including one that measures how fast red blood cells settle to the bottom of a test tube. If they settle slowly enough, then you don't have temporal arteritis, but if they settle too quickly, then you might have to see an ear, nose and throat surgeon. Inflammation is involved in many other headache types. Cervicogenic headaches, or headaches caused by neck problems, are associated with higher levels of inflammatory cytokines, or proteins, as compared to migraines and in healthy subjects. "New daily persistent headache," basically a headache that starts quickly and then persists for months, is associated with elevated levels of inflammatory cytokines in the fluid that surrounds the brain and spinal cord. The same finding was identified in patients with migraines more days than not, and in patients with headaches caused by trauma. Fat may have something to do with headaches, possibly because your fat cells secrete an anti-inflammatory cytokine (protein) called adiponectin. 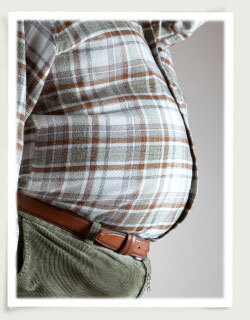 Interestingly, the less body fat you have, the more adiponectin your fat cells produce. In other words, thin people have high adiponectin levels, and overweight people have low adiponectin levels. Adiponectin inhibits several inflammatory cytokines. The higher your adiponectin levels, the lower your levels of inflammatory cytokines are likely to be. Two important types of dietary fat are the omega-3 fatty acids and omega-6 fatty acids. In general, omega-6 fatty acids promote inflammation, and omega-3 fatty acids oppose inflammation. While your body does need some omega-6 fatty acids, the typical Western diet contains some 4 to 30 times too much. Therefore, decreasing dietary fat intake is normally expected to reduce the amount of inflammatory omega-6 fatty acids. Could people cure their headaches by losing body fat? We don't know for sure. We do know, though, that obese people with headaches are more likely to find their headaches worsening. We also know that a group of 54 patients saw their headaches greatly improve after decreasing their average total fat intake per day, from roughly 66 grams of fat per day to roughly 28 grams of fat. Headache frequency decreased from six per week to one per week, and headache severity and duration, and use of pain medications also decreased. In another study, one group of 27 teenagers took 1.5 grams daily of fish oil, which is extremely rich in omega-3 fatty acids, and another group took olive oil, which has less omega-3 and more omega-6 fatty acids. In both groups, headache frequency decreased dramatically. So will a decrease in your fat intake, or the types of fat you choose to consume, reduce your headaches? I can't definitively say that. I can say, though, that these issues might well be worth a talk with your doctor.